The controversy swirling around U.S. deputy attorney general Rod Rosenstein is the latest example of how those who question Trump's intelligence or judgment don't usually last long in their jobs. 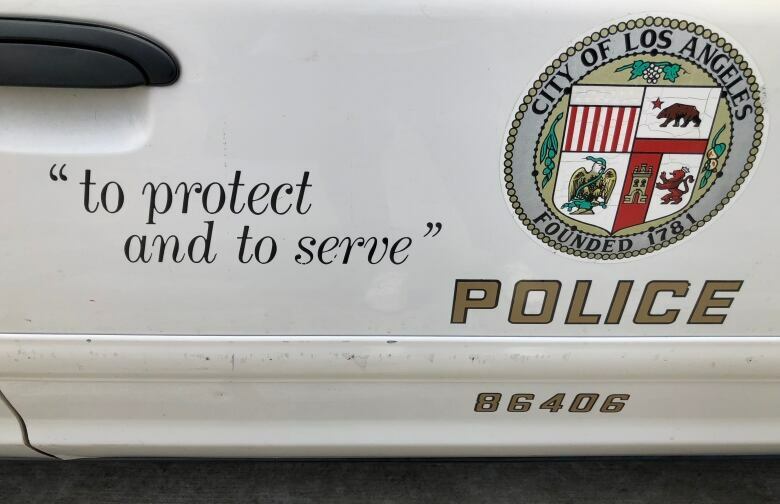 The latest crime-fighting controversy involving the Los Angeles Police Department isn't over issues like police brutality, corruption or gangs — it's all about data and the ways police are using it. 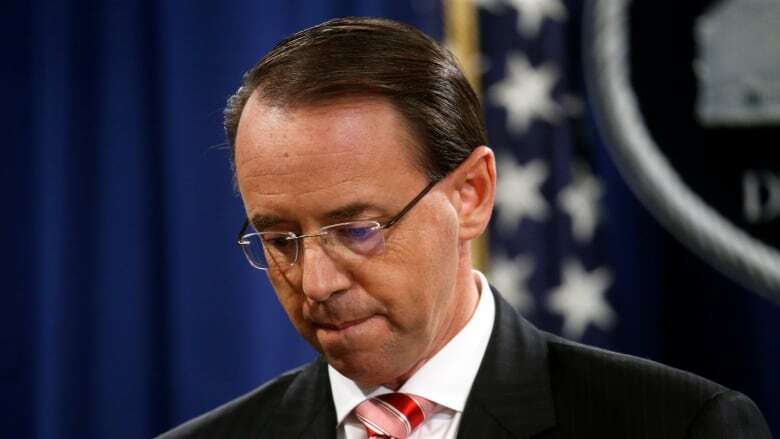 Depending on which Washington insider you choose to believe, Rod Rosenstein, America's deputy attorney general, has offered to resign if necessary, definitely intends to quit, or is sure he's about to be fired. But regardless of whether he jumps or is pushed, the looming exit of the man overseeing Robert Mueller's investigation into allegations of collusion between Russia and the Trump campaign during the 2016 election is a major deal. Donald Trump's critics will seize upon it as yet more evidence of his attempts to obstruct justice in connection with the probe. And Rosenstein's departure may have knock-on effects on the U.S. president's efforts to confirm Brett Kavanaugh as his pick for the Supreme Court, and for the coming midterm elections. 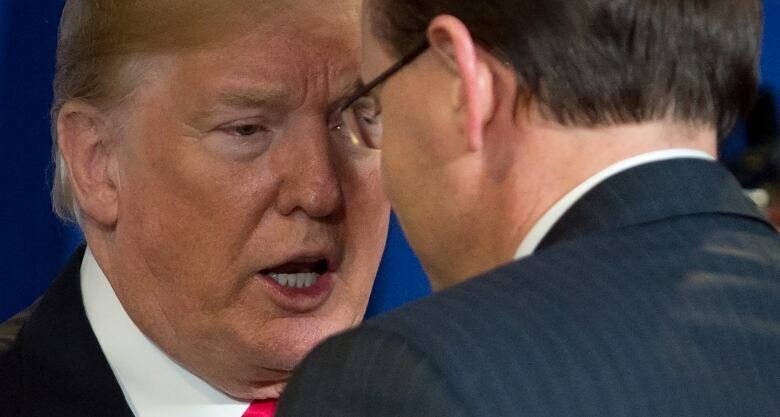 U.S. President Donald Trump speaks with U.S. Deputy Attorney General Rod Rosenstein during a meeting in New York on May 23. The pair are expected to meet Thursday to discuss a news report that Rosenstein had contemplated wearing a wire to record exchanges with Trump. 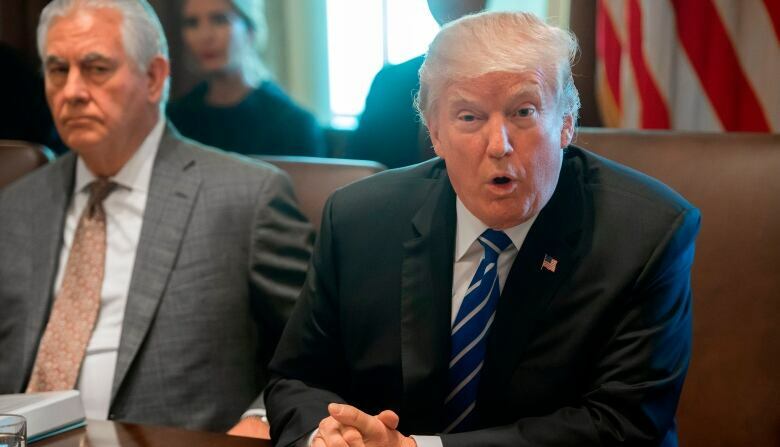 (Saul Loeb/AFP/Getty Images)Trump and his allies have been publicly musing about firing Rosenstein since last winter. They were finally handed their excuse this past weekend, when the New York Times published a story detailing how the deputy attorney general suggested he might secretly record the president's behaviour during meetings and enlist cabinet members in an effort to have Trump removed from office under the mental fitness provisions of the 25th Amendment. Trump's mercurial administration changes direction by the day. But if there is a consistent principle at play, it's that those who question Trump's intelligence or judgment don't usually last very long in their jobs. Rosenstein's departure may be delayed until he meets with Trump on Thursday, which would be six days after the publication of the Times article. 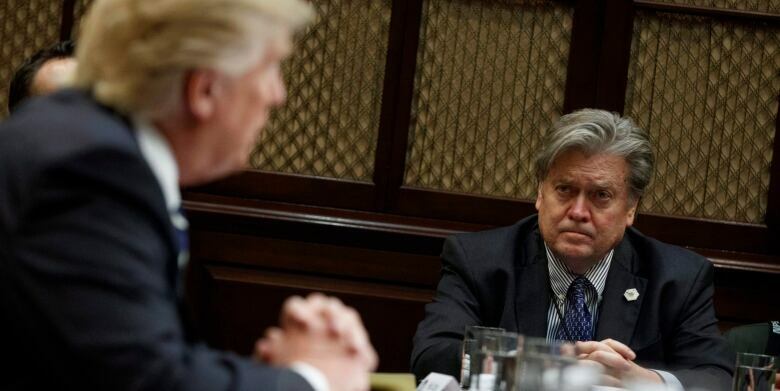 That's two days slower than Steve Bannon, who exited the White House in August 2017 after he gave an expansive interview to the left-wing American Prospect website, in which he undermined Trump's Twitter threats against Kim Jong-un by noting that there is "no military solution" to North Korea because a war would kill 10 million people. Rex Tillerson, the former U.S. Secretary of State, was fired from his job last March, 160 days after reports surfaced that he called Trump "a moron." The ex-oil company CEO brushed off the remark, refusing to deny that he said it, which perhaps helps to explain why the White House went out of its way to let the press know that Tillerson had been "canned" while sitting on the toilet. In those cases the average tenure from disclosure of doubts about the president's intelligence to unemployment was 62 days. But that could well change in the coming weeks. It has been 147 days and counting since NBC News first reported that White House chief of staff John Kelly had called Trump an 'idiot' during staff meetings, and he remains in his job despite Bob Woodward repeating the allegation in his new book, adding that the former general refers to the West Wing as "Crazytown." The same book quotes Defense Secretary James Mattis as sharing his opinion that the president has the understanding and comportment of a "fifth or sixth grader." Twenty days later, he too remains in his job, perhaps aided by a statement denying the "contemptuous words" and calling the work "fiction." U.S. President Donald Trump speaks alongside then-Secretary of State Rex Tillerson during a cabinet meeting at the White House on Nov. 20, 2017. Tillerson has reportedly referred to Trump as 'a moron.' (Saul Loeb/AFP/Getty Images)And Steve Mnuchin, the U.S. Treasury Secretary, seems to have entirely bucked the payback trend, given that it's been 264 days since Michael Wolff reported that he, too, called Trump an 'idiot' — something the former Wall St. banker denied in a tweet hashtagged #FakeBooks! #MAGA. Things have also gone the other way. When James Comey gave his first interview, 341 days after Trump fired him, the former FBI director said he didn't question the president's smarts. "He strikes me as a person of above average intelligence who's tracking conversations and knows what's going on," Comey told ABC News. "I don't buy this stuff about him being mentally incompetent or early stages of dementia." Then he added a kicker: "I think he's morally unfit to be president." Which surely made Trump wish he could fire him all over again. 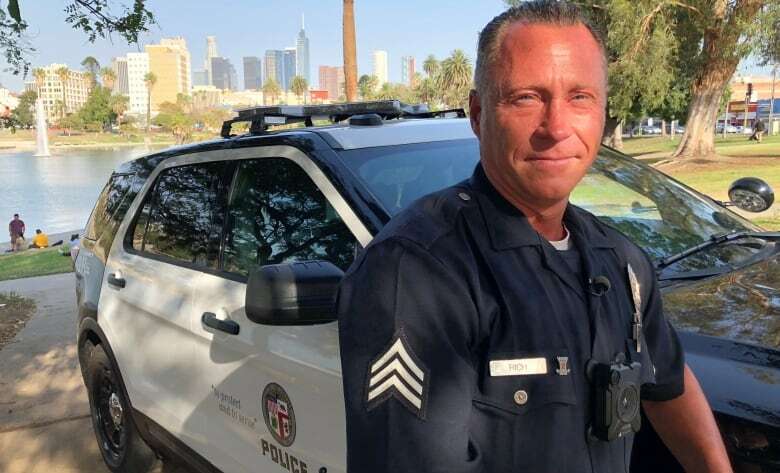 Los Angeles bureau reporter Kim Brunhuber looked into the latest crime-fighting controversy involving the Los Angeles Police Department. It's not over issues like police brutality, corruption or gangs — it's all about data. And the ways police are using it. If you've seen the movie Minority Report then you know what predictive policing – extrapolated to its most extreme – might one day look like. Except instead of psychic "precogs" predicting who will commit future crimes, it's an algorithm. Predictive policing is already being used in precincts around the U.S. In order to see first-hand if it works, and why some communities are so scared of this futuristic approach to police work, we rode along with the LAPD. We wanted to see how the computer model, analyzing years of crime data and spitting out a box on a map to pinpoint where officers should patrol, would work out in practice. Spoiler: it's hard to draw any correlations between the program and any reduction in crime. We interviewed a precinct chief who insisted the program was simply a more efficient use of resources. He tried to allay fears, which he felt were propagated by the media, that the program could be used to oppress vulnerable communities. We then visited with community activists in Skid Row who were warning residents about the program. They felt it was just a continuation of the evolution of racial profiling. 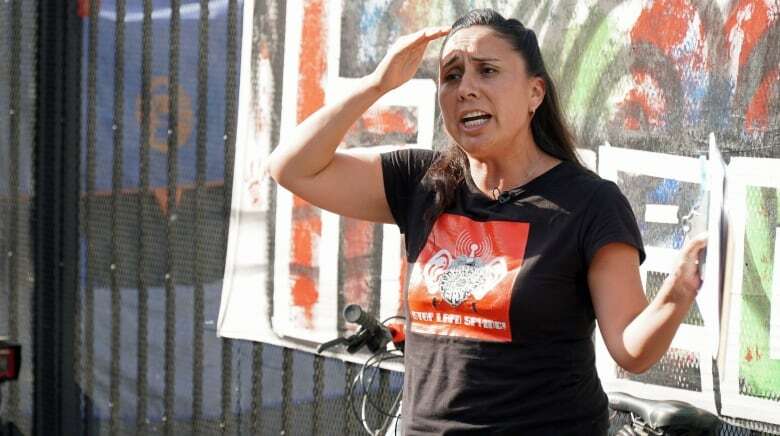 "Nobody wants to be pre-criminalized," Jamie Garcia, of the Stop LAPD Spying Coalition, told me in language reminiscent of the aforementioned Minority Report. I was struck by the way one formerly homeless man expressed the notion that data wasn't colourblind: "It's they technologies, they machines, it's they algorithms … So of course it's going to work for them, because they create for it to work." To get a sense of who exactly might be targeted, we traveled to Baldwin Village, better known as The Jungle, one of the roughest neighbourhoods in town (you might remember it from the movie Training Day). As we conducted the interview with some young residents, police cars circled randomly like sharks patrolling a reef — further proof, our sources told us, of the over-policing they were already subjected to. The residents didn't seem convinced by the argument that if the numbers suggested certain areas were likely to be targeted by criminals on a certain day at a certain time, that it made sense to deploy law enforcement resources to that area. The folks we were talking to said they were victims of a previous LAPD program that labelled them as gang members — guilt by association. They feared predictive policing was just the next high-tech iteration of a program that makes it impossible for people who live in at-risk communities to escape being targeted by police. "We were attacking these and trying to dismantle these technologies and these programs," one young man told me. "We feel like they are just moving on, one step ahead. Evolving." 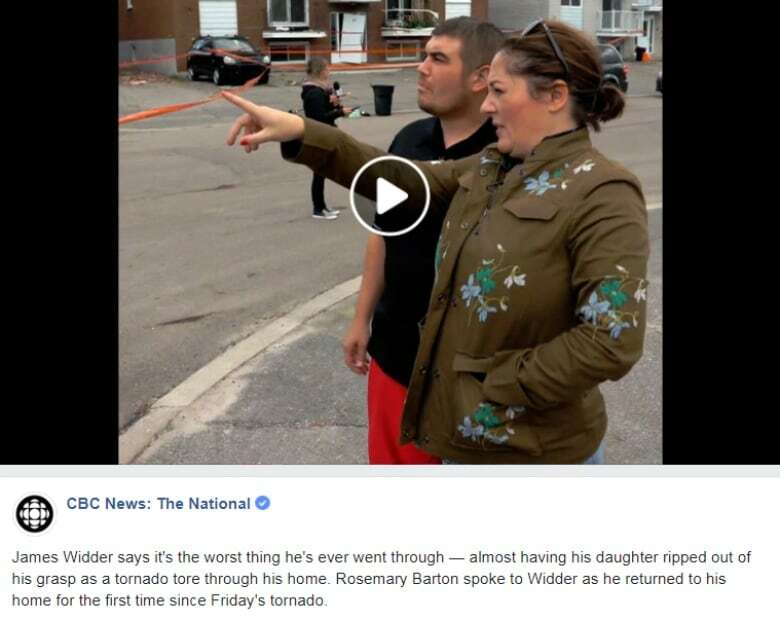 The terror of being caught inside a tornado. "As countries set different standards and norms, any country, organization and group has no right to interfere in and make decision(s) over sovereignty of a country." 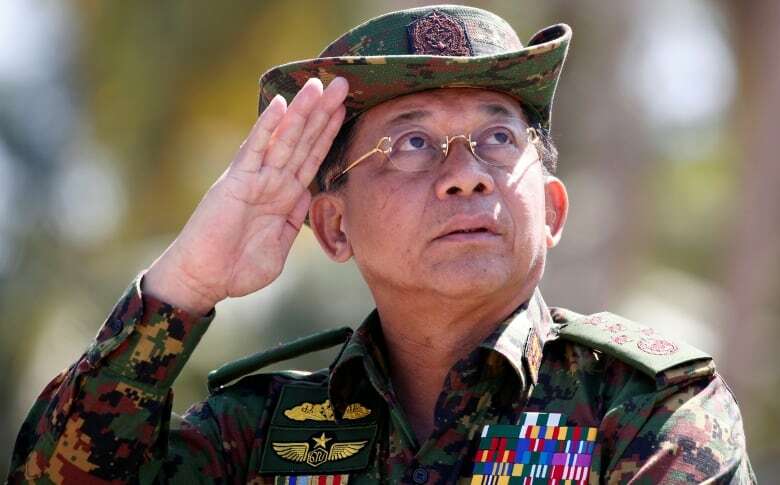 - General Min Aung Hlaing, the commander-in-chief of Myanmar's military, suggests that world leaders and the UN are out of line when they accuse him and other high-ranking officers of overseeing genocidal acts against the country's Rohingya minority. The race lasted just 9.79 seconds, but the afterglow continued as Ben Johnson, fresh from his men's 100-metre victory at the Seoul Olympics and with a shiny gold medal around his neck, sat down with the CBC's Don Wittman. "I decided to change gears and give it all I have," the sprinter explained of his triumph over American rival Carl Lewis. Although he did shed six pounds from his muscular frame in the run-up to the race by "just workout." 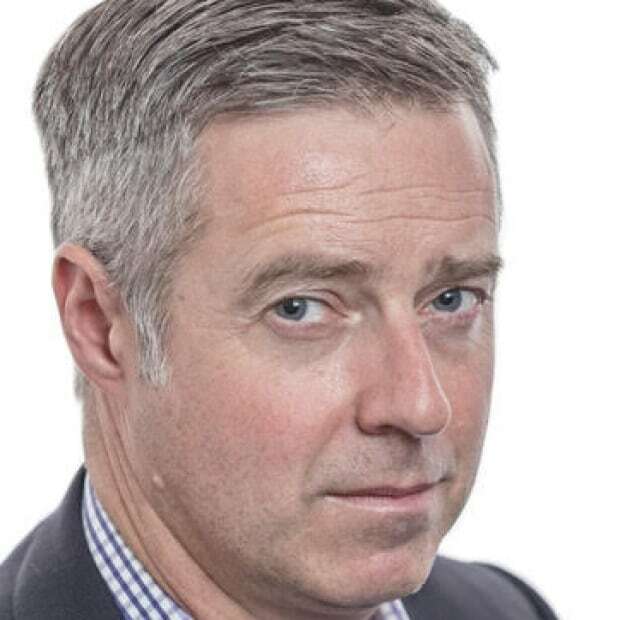 Prime Minister Brian Mulroney joined the broadcast to offer his congratulations on behalf of all Canadians and ask the question that was on everyone's mind: when was Ben coming home? Oct. 9 was the answer, right after his next race in Tokyo. But as it turned out, Johnson was on a flight home from Seoul less than 24 hours later, without his medal, after a positive doping test that shocked the country and the world.